Silent Hill: Revelation 3D follows the events of its predecessor, released back in 2006, starring Radha Mitchell in the role of Rose, a desperate mother looking for a healing to the suffering of her adoptive daughter who takes her to the demoniac town of Silent Hill, where strange things happen, leading Rose to the answers behind Sharon’s (her adoptive daughter) relation with the town, taking the first game as inspiration. One of the most interesting aspects of the first movie is how the story remains “open” through an ambigious ending that creates doubts about Rose and Sharon’s fate, as well as it opens the horizon to a new direct sequel, that actually took six years to appear. 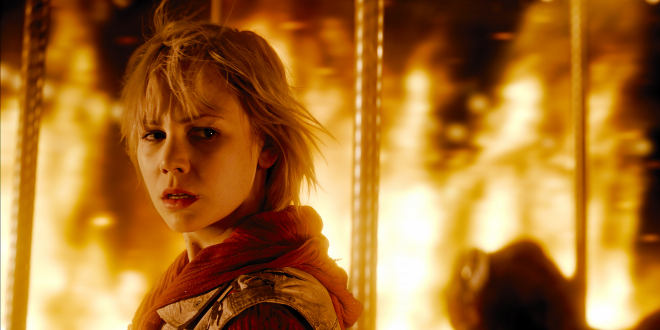 Silent Hill: Revelation, then follows the events of the first movie and counts with Adelaide Clemens on the role of Heather Mason (protagonist of the 3rd game). 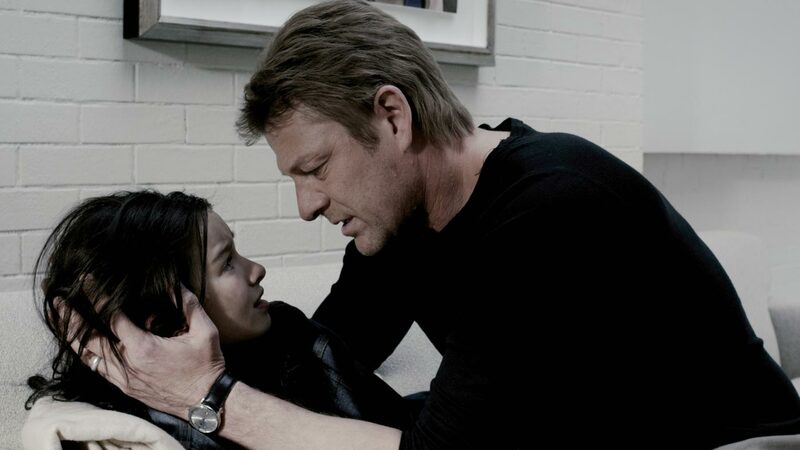 Here, Heather is on the run with her father, Harry Mason (Sean Bean), always being chased by dangerous forces that she cannot fully understand and torment her through nightmares since she was a child. However, things change on the day of her 18º birthday, when strange things start happening and Heather discovers that she isn’t who she thinks she is. Joining all this is the disappearence of her father, Harry, who is taken to the town of Silent Hill. Heather follows his trace and, with the help of a mysterious guy named Vincent, faces a hellish reality that hides secrets about her very own identity and her true connection with the town. If the first movie was based on a much more poetic narrative, full of suspense moments, Silent Hill: Revelation adopts a approach specially based on the action, instead of the prolonged tension. This might be one of the weakest points of the movie, because, in over 90 minutes (very reduced duration) there aren’t many moments that allow the spectator to create a true connection with the narrative, specially because of the fact that the action is too fast and chained in a very synthetic way. Basically, things happen almost at the same time as we are taken to autentic levels of a videogame. For exemple, when Heather is in a certain situation, she only needs to go through a door and a new independent situation happens overlapping the previous. In the end, this paraphernalia of actions make each one of them not developed enough. This method, however, still works well, because it is able to represent the source (Silent Hill 3) in a very reliably way – Something that, in my opinion, despite of what many people said, the first movie also did very well. Anyway, Silent Hill: Revelation 3D brings alot of elements from the games, not only narrative elements but also pictorial, that call many parts of the videogames! As a fan, it was amazing to recognize many of the elements on the scenarios, such as the original “Brookhaven” map and the red shoe on Jack’s Inn. In a global way, I must say that this was an excelent adpatation of the videogame, many scenes well represented, such as the carousel one, near the end. The Dramatism of this moment was perfect, complemented by good dialogues that fulfilled Adelaide Clemens performance. Still about the dialogues, it must be said that many of them fell short on what we could expect of such good actors. A big part of the speech was basically created to make a free delivery of the plot, having the characters themselves explaining the story, always calling flashbacks from the first film. The performance of Kit Harrigton also fell short, in my opinion. This probably happened thanks to some poor dialogues and a not so good direction by Michael J. Bassett. Basically, none of the character is developed enough to let us create a special empathy. Heather is actually the only character with whom we can interact, but still, we cannot feel a evolution on her role. Douglas Cartland (Martin Donovan) has a couple of minutes of attention and then suffers a terrible destiny, offering his original role to Vincent “Cooper” (Kit Harington), while Claudia Wolf (Carrie Anne-Moss) remains as the main antagonist but in a lower level, thanks to the short time she has on the screen. Anyway, I can understand why this happens. With a scarce 90 minutes, we couldn’t wait for a much bigger depth on the narrative, in a way that would do justice to every single characters from the game. However, it is a clear fact that many decisions weren’t well made. Well, in the field of well made decisions, I can enounce many, featuring the Art department that made a fantastic job in every single part of the movie, giving Silent Hill: Revelation, a very strong visual, extremmely close to the source of its inspiration. I’d also point the creature design, made by the well known Pattrick Tatopoulos. 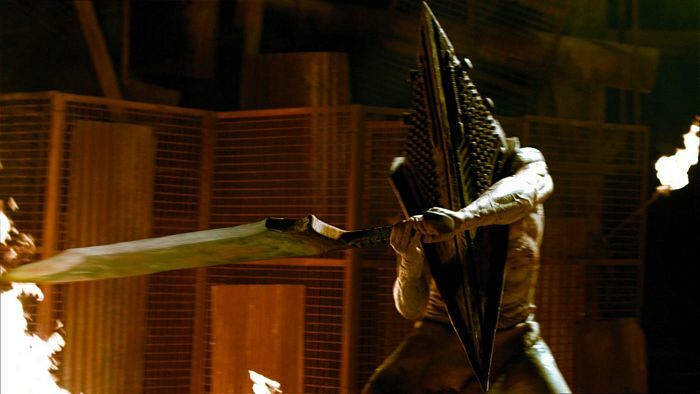 Even if there was some controversy about the appearence of creatures from the first film, on this one, I believe they worked very well, specially when we talk about Pyramid Head, who sees his role much stronger in this sequel. Despide of the fact that his role has suffered huge changes, I think his purpose on this film was put together very well, and created a new vision of the meaning of the emblematic Red Pyramid Thing, making the audience create an unlikely relation of empathy with this “not so scary” creature. Joining all the visuals field is the Sound, one of the best elements of this movie. Starting in the very first frame and ending on the very last word from the credits, all the Silent Hill: Revelation sound design is amazing, thanks to the talent of the well known Akira Yamoaka in colaboration with Jeff Danna. The intensity variations and all the rhythm, serve the action perfeclty, intercalating the silence with a very Silent Hillish ambience, always helping to pace the accelerated action. Once again I use the carousel scene as exemple of a very good soundesign. Lastly, still on the sound department, the music of the credits after the CGI sequence, must be refered. 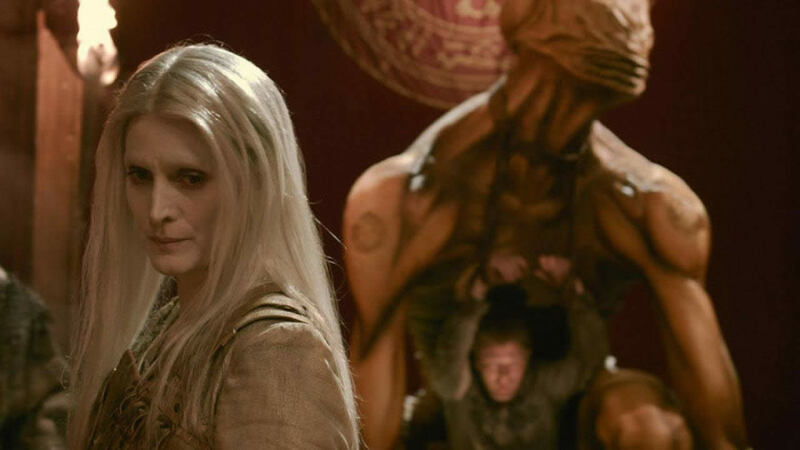 The song is called “Silent Scream” and is performed by Mary Elizabeth McGlynn on the vocals. Finally but not least, I must refere the 3D component which follows Heather on his journey in Silent Hill: Revelation. There’s not doubt that this element adds alot to the experience on the theater, specially on some ocasions that allow a chilling imersion on the movie, taking us to a extreme sensation of interactivity with the characters themselves, the action and scenarios. One of these moments happen in the very beggining of the session, when the ashes start falling from the “fog”. Some other effects, however, fell short on what I was expecting, things such as the typical flying objects that come out of the screen, that failed to meet the expected effect. Anyway the details and the definition of each shot worth the price thanks to the tridimensionality that, gladly, didn’t see an abuse of it’s use. Overall, Silent Hill: Revelation, despite of not being a art piece, of all, is still able to present itself and a consistent movie, staying true to the roots of its inspiration source. The true negative point of this movie lives on the too acelerated action and in some bad dialogues, consequence of a reduced duration that obligated a bigger concentration of the story that developes too fast, creating almost no oportunities to create a relation with the narrative. In the other hand, Silent Hill: Revelation 3D shows very strong visuals, an amazing performance by Adelaide Clemens and a fantastic sound department, working together with a 3D complement that offer a stunning experience on the theaters. Right now we can only pray for a new possible sequel and hope that it happens in a near future and not in 6 years!